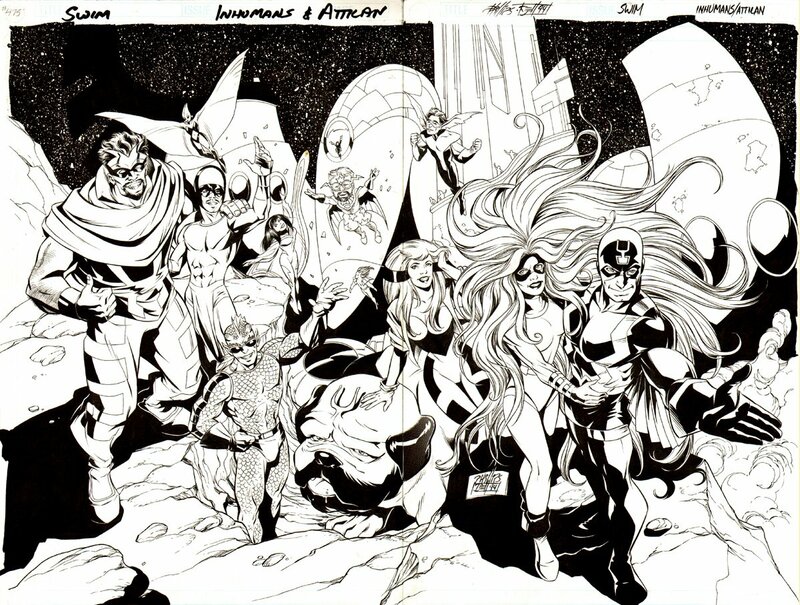 Just an awesome 1994 double spread splash featuring 9 INHUMANS in all their glory! SWEET! Art is drawn on 2 art boards, each measuring 11 by 17 inches.